Tesco plans to cut 1,200 jobs at its head office as part of a major cost-cutting drive. The UK's biggest supermarket told staff on Wednesday morning about the cull, which amounts to a quarter of its workforce in Welwyn Garden City and Hatfield. Tesco is implementing a turnaround plan that aims to reduce costs by £1.5bn. The cuts come after the retailer said last week it would close a call centre in Cardiff at the cost of 1,200 roles. Tesco said it was a "significant next step" in the reorganisation of the company. "This new service model will simplify the way we organise ourselves, reduce duplication and cost but also, very importantly, allow us to invest in serving shoppers better," a spokesperson said. 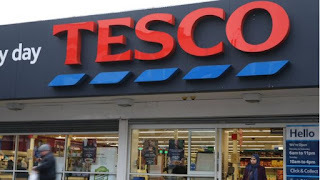 Pauline Foulkes, national officer at shop workers' union Usdaw, said: "Tesco's head office staff are understandably very concerned that the company is proposing further large-scale job losses. "Our priorities are to keep as many staff as possible in employment and to get the best possible deal for our members." Shares in Tesco rose 1.5% to 171.5p, but have fallen 17% since the start of the year.